This is a NEW luxurious face mask designed to purify your skin, giving amazing results in just 7 minutes! At the end of a long and busy day, your face will be covered in particles of dirt, dead skin and grime. All this nastiness blocks your pores which stops your skin breathing and disrupts the natural renewing process. Having blocked pores overnight is also bad for your morning routine where you need clear skin to absorb your daily creams and see the most benefit. This organic face mask is packed full of antioxidants, and has been designed to deeply purify, leaving your skin brighter, smoother, and extremely hydrated. Eco By Sonya have created a fruit, organic vegetable, and seed formulation to help your skin be the best it’s ever been by protecting and nourishing every skin type, even oily skin. Skin Type: Perfect for all skin types, including oily and combination skin. Application: Apply a thick layer to clean, dry skin on face, neck and décolleté - though it can be used all over the body. Leave the mask on for 7 minutes as it semi-dries on the skin. Once dried, massage your face in circular motions with your fingertips to let the Chia Seed and Acai work their magic and clean out your pores – do this for at least a minute for extra exfoliation and to boost blood circulation. Remove any remaining Face Compost with a wet face cloth. Pat skin dry. Use once or twice a week for best results. Tip: Apply to cleansed skin half an hour before going to bed, remembering to remove fully before getting into bed. This will give your skin the right ingredients to allow its overnight healing process. Then cleanse in the morning to remove the toxins which have been expelled throughout the night. Creates a smooth base for make-up. 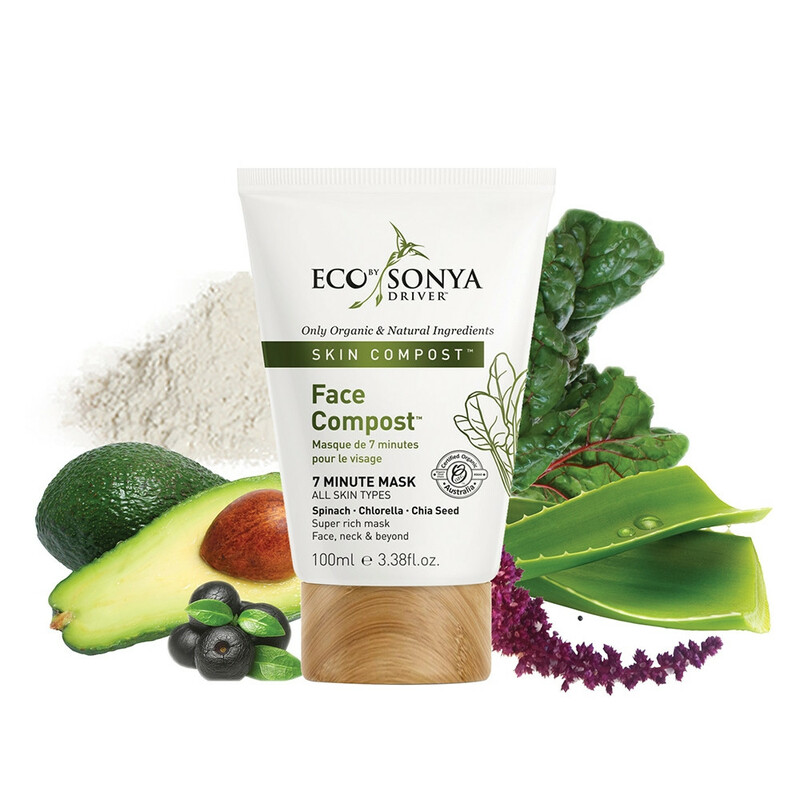 Face Compost® 7 Super Ingredients: Spinach, Chlorella, Chia Seed, Acai, Spirulina, White Clay, Aloe Vera.